For a long time, India and China have been seen as the rising economic giants on the Asiatic mainland. Studies of the conflicts which have plagued the borderlands of India and China however have tended to only analyse individual case studies without attempting to compare and contrast the situation in these conflicts. This book compares and contrasts the situation in India’s disputed borderlands – Kashmir and the Indian north eastern states – with China’s contested borderlands – Xinjiang and Tibet. The book looks at the root causes of the conflict and how these conflicts have evolved and changed their character with the passage of time. Analysing how the countries have dealt with their territorial disputes from the 50’s till more recent times, the author shows to what extent these state policies have exacerbated the already strained situation. Using primary data collected primarily through interviews, from the people/inhabitants of these conflict zones, the book throws new light on the problem. This bottom up approach allows the people to speak and provides a different understanding of the nature of the conflict, which may very well be the way forward for long lasting peace. 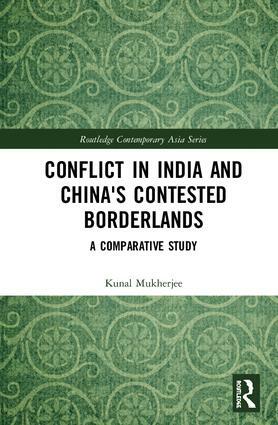 A comparative study of the conflicts in the contested borderlands of China and India, the book will be of interest to scholars studying Asian security studies and Asian Politics particularly and Defence and Security Studies more generally. 1. How do we understand and make sense of Conflicts in Contemporary Asia?